A funny thing happened on the way to a client meeting today. I had just departed my office when the phone rang. A longtime client that I hadn't heard from in years. 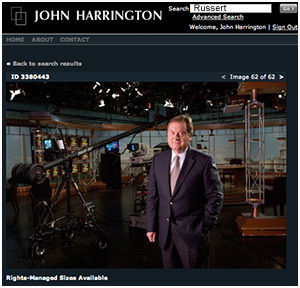 He'd found my images of Tim Russert in the Digital Railroad marketplace, where I had forgotten I had released them after a magazine cover assignment two years ago. Along with those were images of Tim and his son Luke, at a launch party for an endeavor Luke was involved in. The client wanted to know if I had any other images I hadn't put up. "Yes, I do", I said. The client said "well, we're closing the book in an hour, can we see them?" "Sure" I responded, wheeling around an intersection three blocks from my house. I knew I had about 10 minutes of buffer in my trip downtown if I was to make that meeting. I quickly located the images on my local server, using PhotoMechanic, uploaded 45 images to my archive, and sent the group of images direct to the client (and submitted the additional images to the Marketplace!). I hopped back into the truck and made my meeting on-time. Along the way, I called the client. "Did you get the shots?" "Yes", came the response. "I'll let you know which one the editor chose in about an hour, we are able to download them directly, I see." Cha-ching! There's about five months worth of Digital Railroad's monthly charge covered, with one image license. And, I booked the downtown client to boot! I can't stress enough the importance of everyone playing by the same rule-book, and using the same dictionary. That is what PLUS is. PLUS is free to photographers to use. So to for designers who can specify the PLUS Pack they want (i.e. all commercial use, book cover, book inside, and so forth), and you know what you're licensing, and there's no confusion. Using PLUS is so easy, ( to quote the Lenox Financial guy from his ads) "it's the biggest no brainer in the history of Earth." 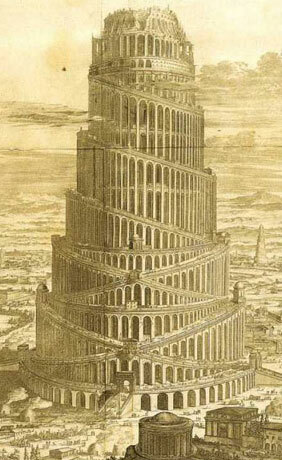 I am pleased to see Digital Railroad taking a leading role and joining in with the many other organizations that are bringing clarity to the Tower of Babel that was image licensing. So, how many times have you seen a stupid handshake photo? How many times can you look at a goldfish in a bowl on white seamless and want to hurl? Where's the variety? The creativity? The unique perspective? To solve this creative malaise, Photoshelter is teaming up with Adorama, Nikon, and Apple with their version of "America 24/7" called "Shoot! The Day", which, considering the possibility of it's success, is aptly titled to handle "Shoot! The Day II", all the way through to MMVII, if they're so inclined. It's as if we're going from Before Quality Content (B.Q.C.) To After Quality Content (A.Q.C. ), so, let's just shorten it to B.C. and A.C.
As if we're in an extended period of Tribulation prior to the big day, July 20th is the rapture where all will descend, worldwide, cameras in hand, in response to the siren songs of over 700 photo buyers, editors, and art directors who report, through extensive research done by Photoshelter, that the repetitive imagery that photo buyers are seeing has them, well, seeing red. Unlike the iStockPhoto - iStockalpyse (The iStockalypse, 8/30/07), where photographers gather, and create images that will sell for pennies on the dollar, likely not covering their cabfare to the event (let alone airfare if they flew), Photoshelter's photographers have a high probability of earning back the cost of their efforts, and there's no modified fee-split for images resulting from this event, but significant underwriting and promotion from the Photoshelter folks. Further, this ain't no "shooting spec" roundup either. Shooting spec is when you have a prospective client who should be paying an assignment fee for work they need, but instead, farm it out on spec. That scheme died with OnRequest's attempt (OnRequest - Realizing the Obvious, 7/12/07), just doesn't work, and I've written about before (Just Say "No", Just So Oversimplified, 2/16/07|| Spec Comparative to Salary, 7/7/07). This ain't that. One of my agencies, back in the day, had a list of images that they didn't have, and they put it out to the photographers they represented, once a month. It wasn't a "shoot this on spec for this client" list, since that request had not been filled, and the deadline was past. it was a "this request came in, or has come in more than once, and each time we have no images to fulfill it. We're guessing that if you produce it, we can license it to a future client" list. Here, Photoshelter has gathered a collection of top-notch photo editors and buyers, and are taking concrete action based upon their feedback. So, for all you stock photographers out there producing prosaic imagery, recall the sentiment from an early Indiana Jones, who said "only the penitent shall pass". Go, be penitent, renounce the sins of paltry photography, and produce great imagery. I sense that this is one STD you may want to catch. 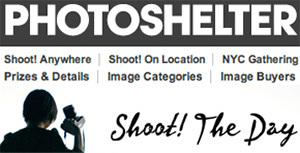 For more information, visit Shoot! The Day, over at PhotoShelter. A review of Day 3, and the overall 2008 Festival of the Photograph - "Look3", which took place in Charlottesville, Virginia. A link to all the videos is after the jump.